Among the various trends that gadgets have introduced, one is watching videos online. YouTube is the biggest social media for videos with 72 hours of video uploaded to it every minute. Facebook is the largest social media interaction website with users in billions. Both these websites hosts videos and thousands of people are watching them. More then often a video pops up which is hilarious or touching and people want to save it to their computers. Here is a step-by-step guide to Download Videos from YouTube and Facebook. There are two methods to download a video from YouTube/Facebook. 1. Using a YouTube/Facebook Download Website. 2. Using a Video Download Software. This is the easiest method to download a video from either YouTube or Facebook. All you have to do is copy the URL of the YouTube Video and paste it in the ‘Enter URL’ in any of the following websites. Note: For Facebook Videos appearing in the Timeline, open the video in ‘New Tab’ and copy the URL of that Tab. Once you enter the URL and hit the ‘Download Video’ button, a page will appear with options to download the video in different Quality. There are options of downloading ‘Only Audio’ or ‘Only Video’. Method 2: Using a Video Download Software. This method requires a software to Catch (download) videos from YouTube/Facebook. There are several software available that can be used for this purpose. We have used Internet Download Manager. 1. 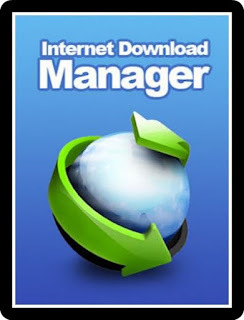 Once Installed, run Internet Download Manager (IDM) and restart your browser. 2. Upon restart, your Browser (Chrome, IE or Firefox) will ask for adding an extension to the browser. Grant it! 3. Once software is running, load the video you wish to download on your browser. 4. A radio button will appear on the page like this. 5. Click it and your download will start. Note: The video will be downloaded in the Video Quality in which it is being played. and you will be directed to the Download Page for the Video.